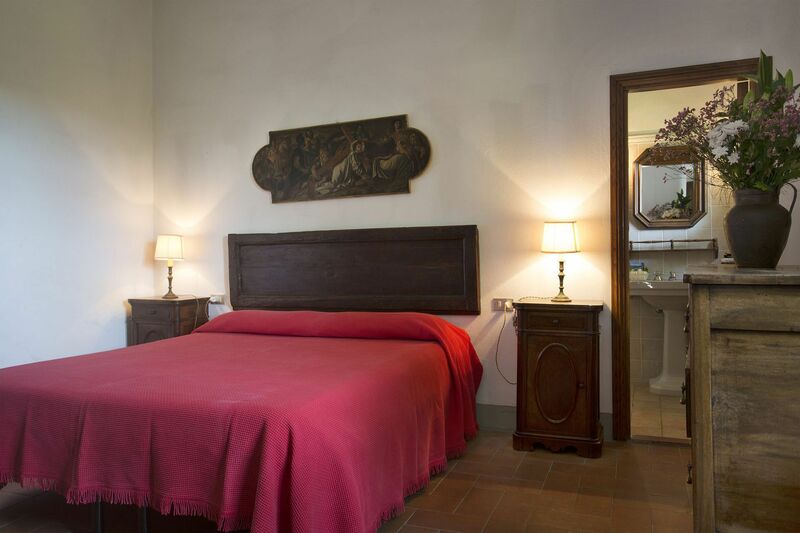 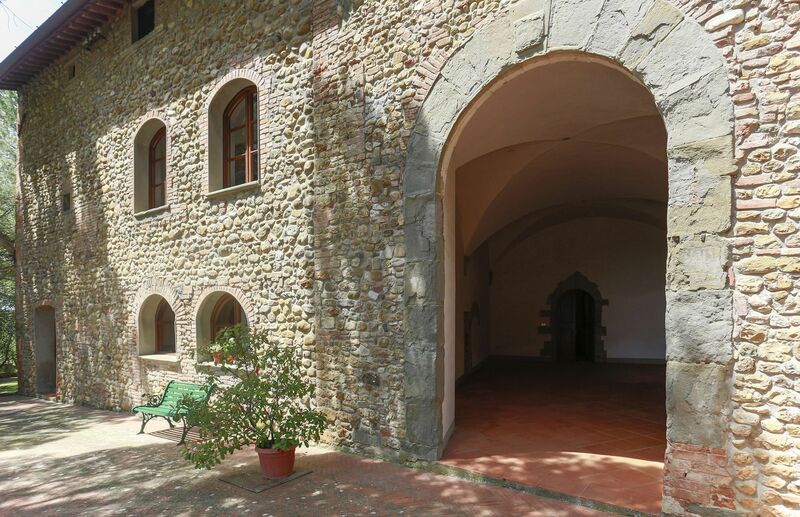 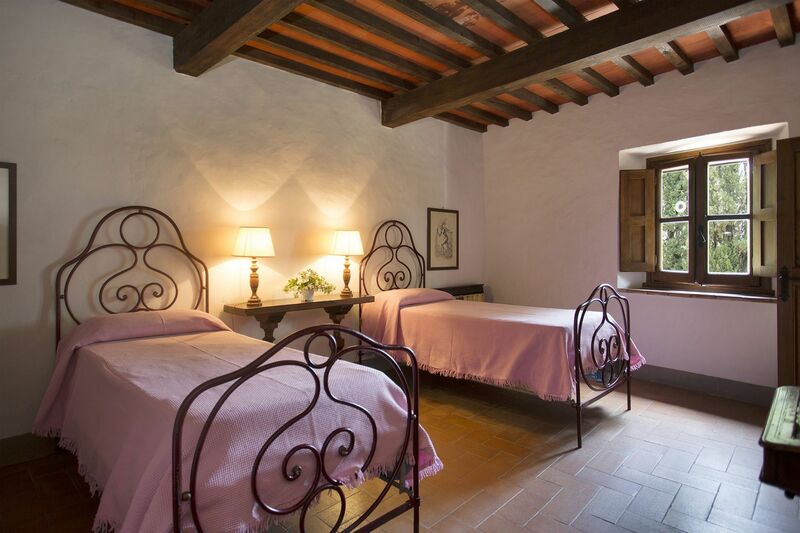 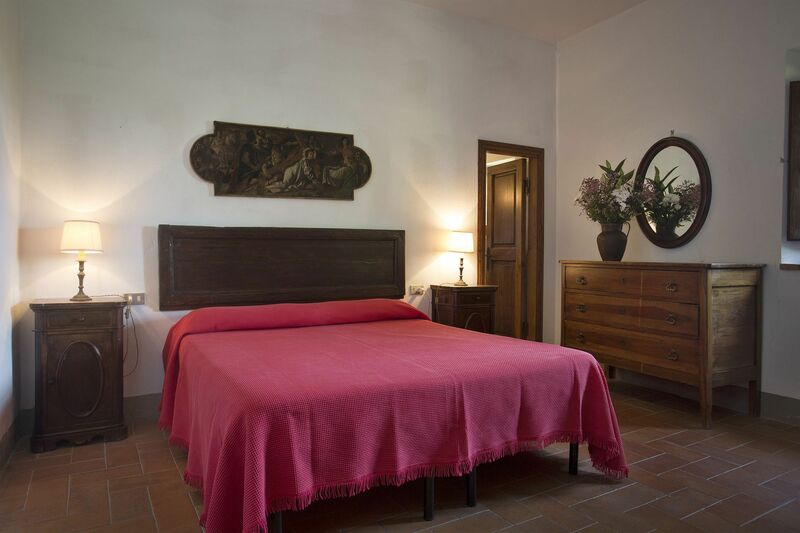 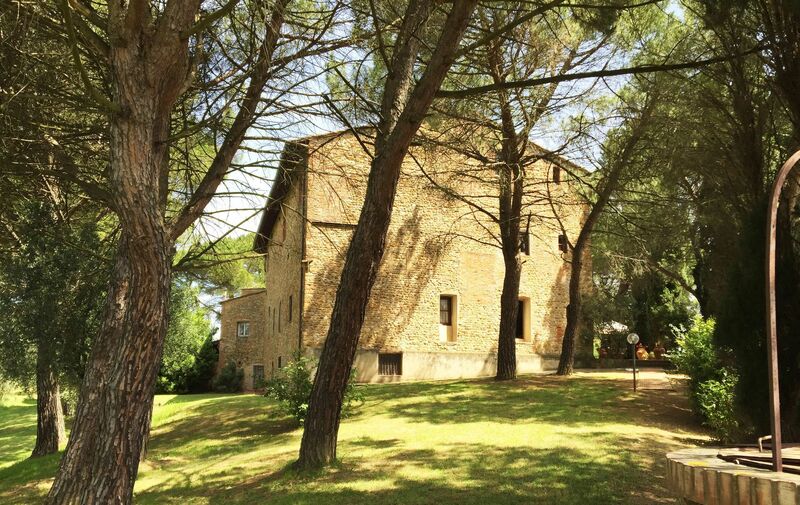 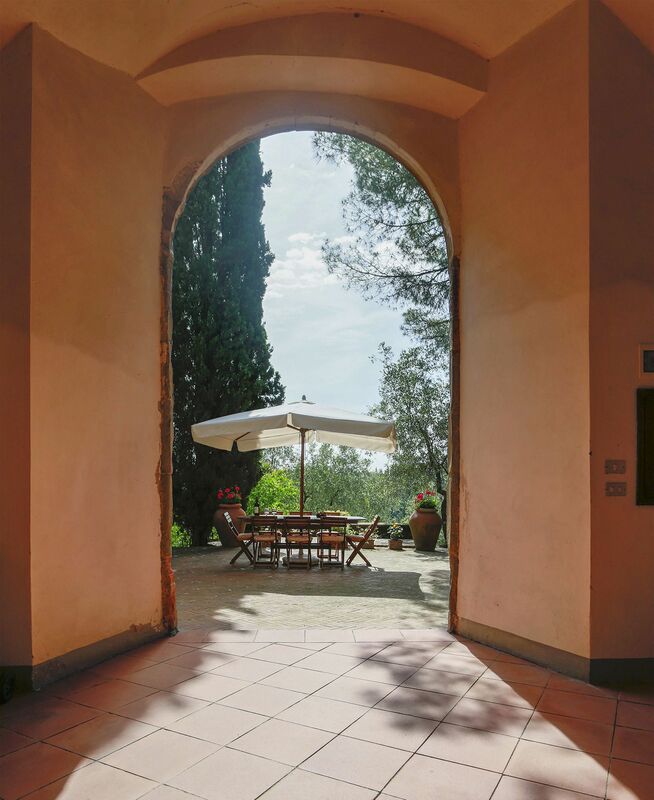 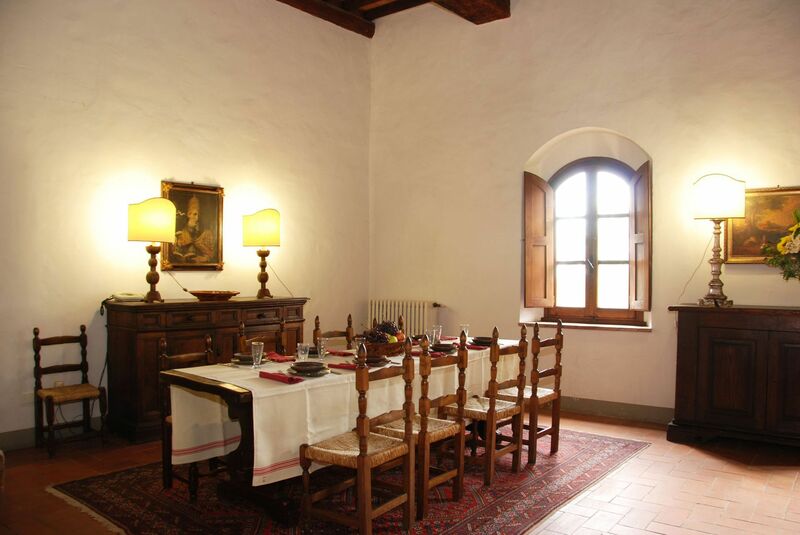 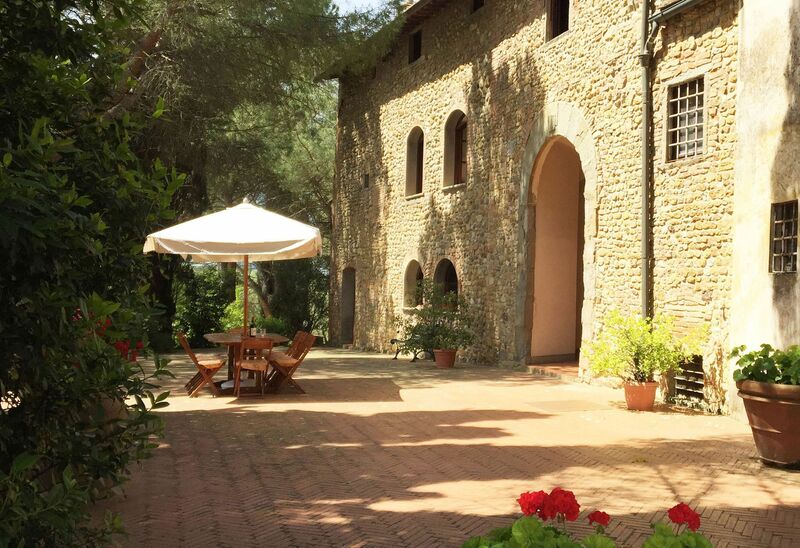 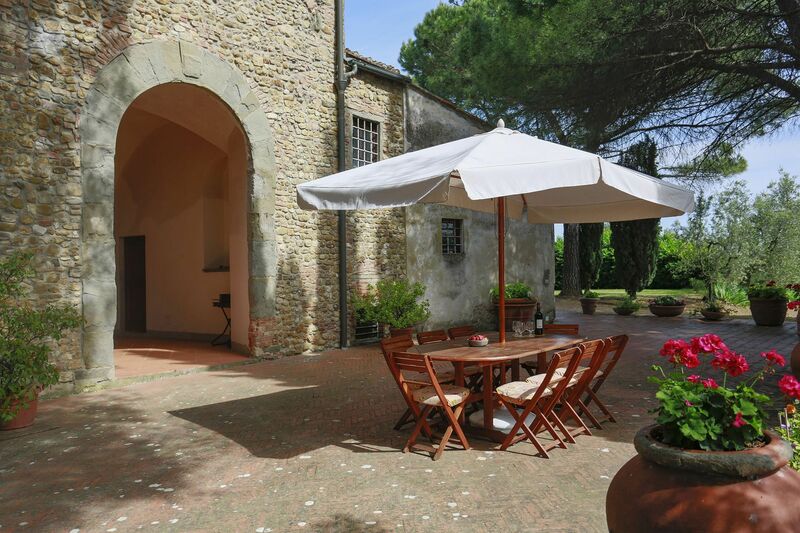 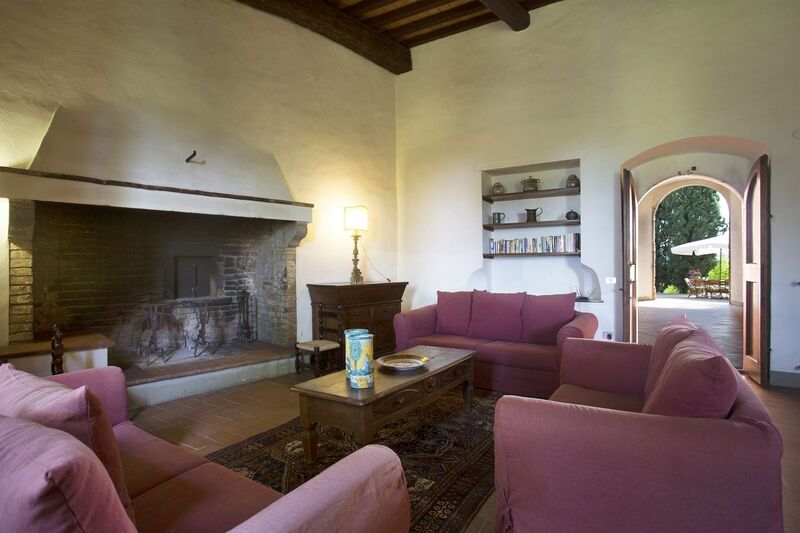 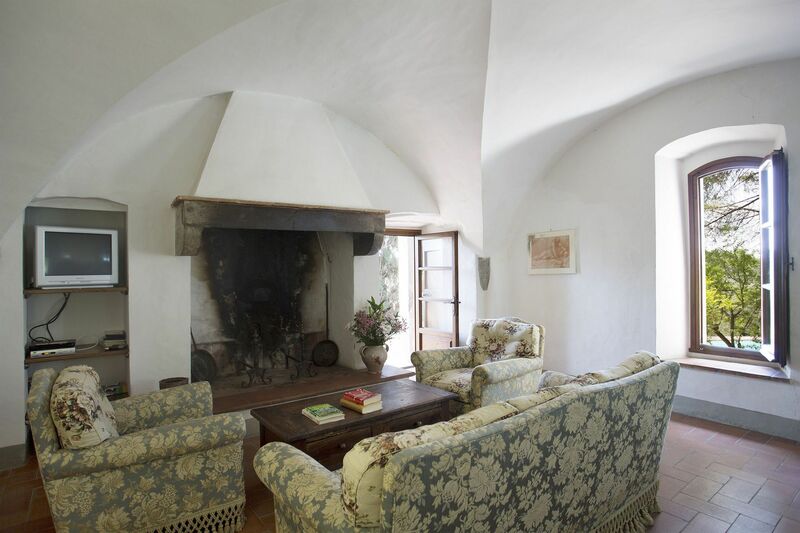 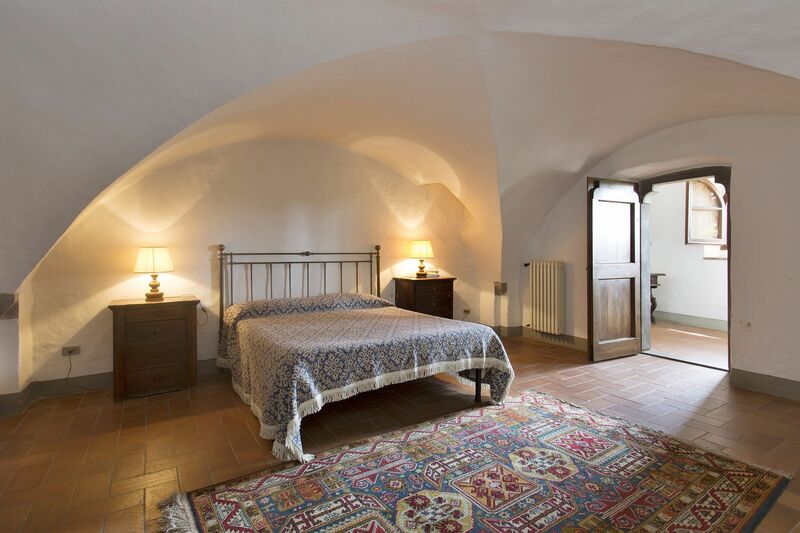 Beautiful original stone villa built upon the ruins of a medieval tower close to the famous renaissance City of Florence (12km) and only a few kilometres away from the lovely ancient village Malmantile. 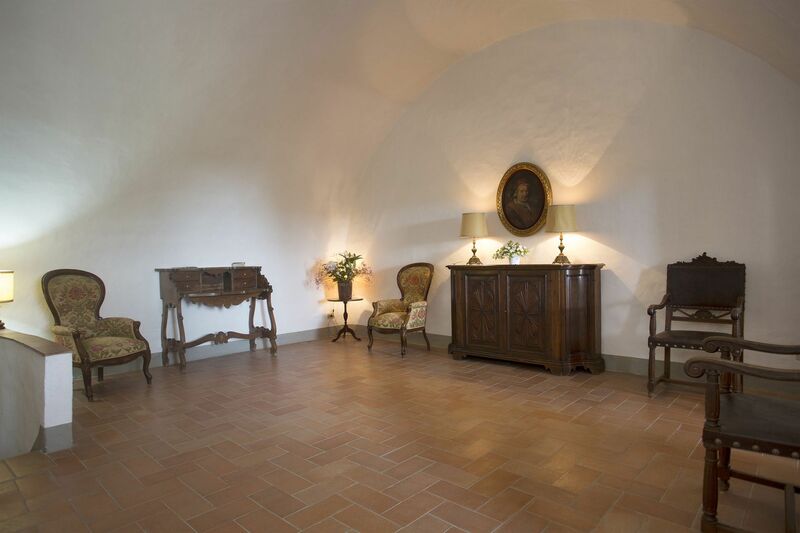 Spacious rooms many of which have vaulted ceilings and vast grounds with a private pool and tennis court..
A 600 metre drive leads to the house through the scenic grounds of the property. 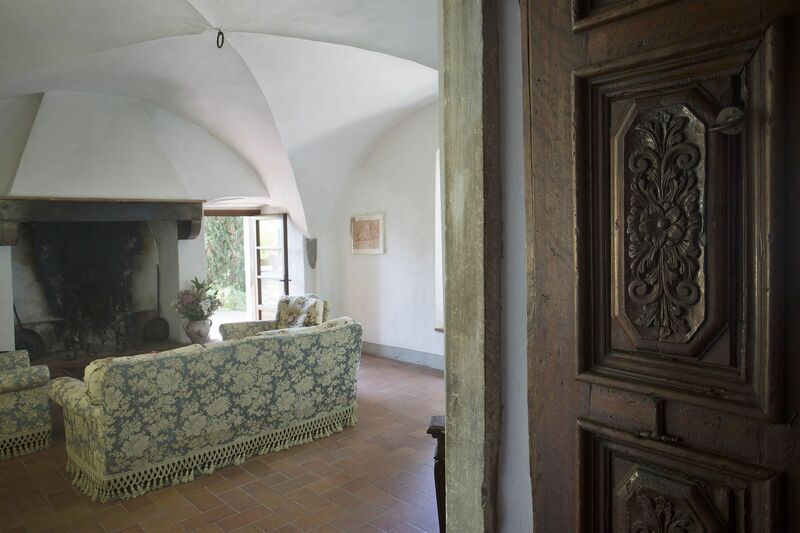 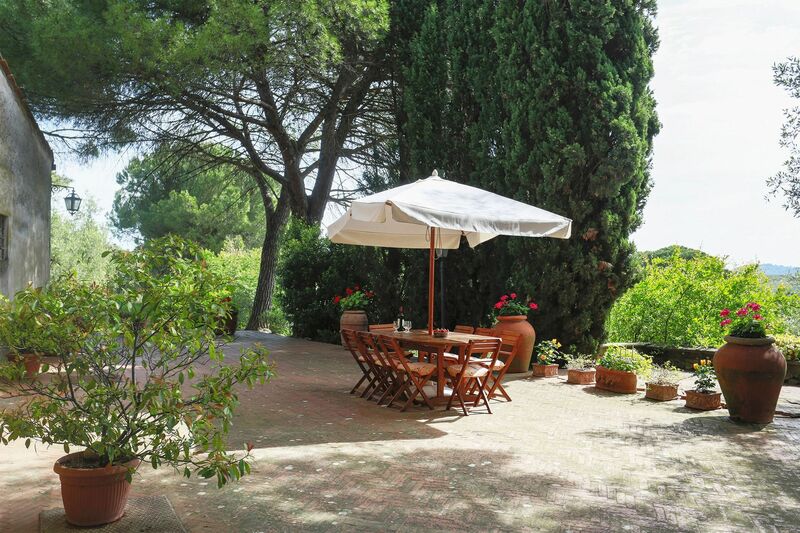 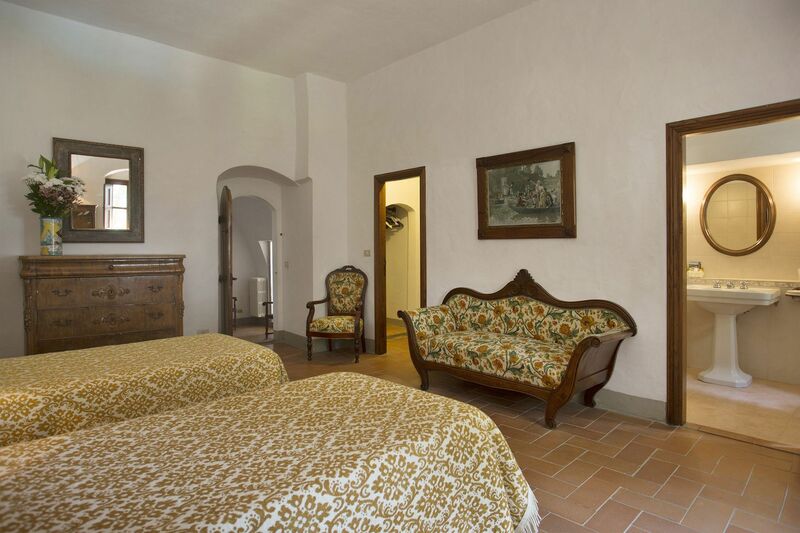 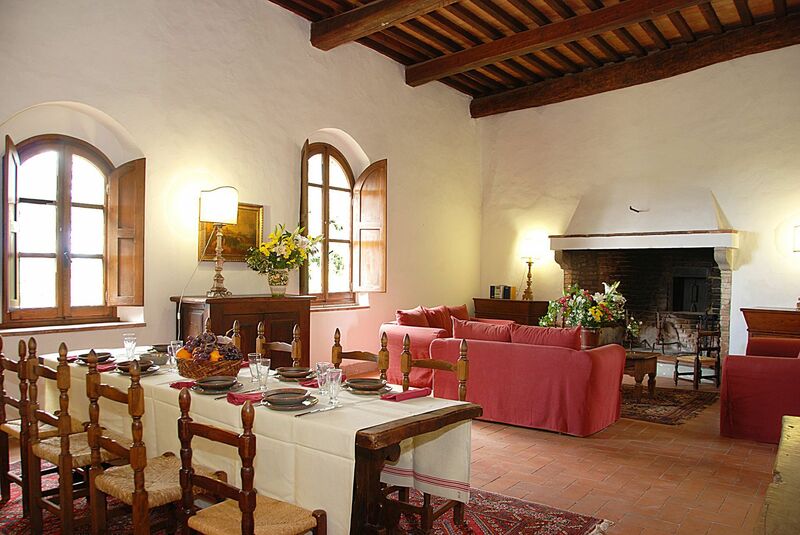 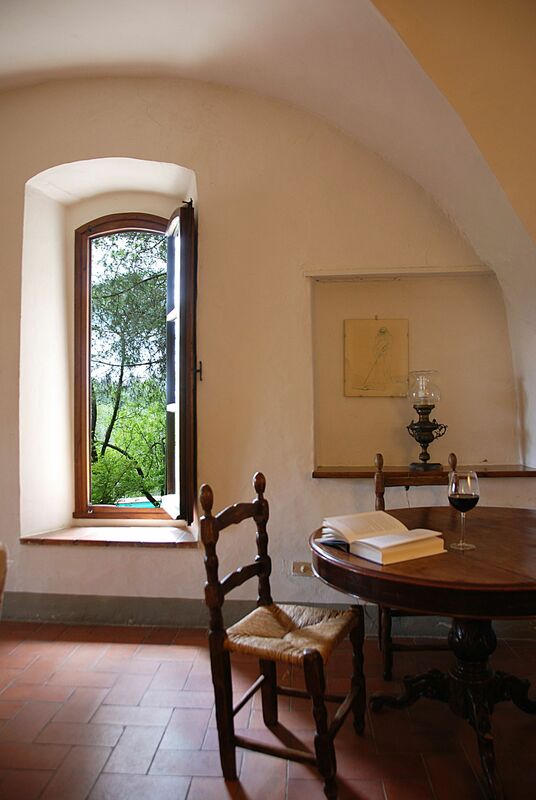 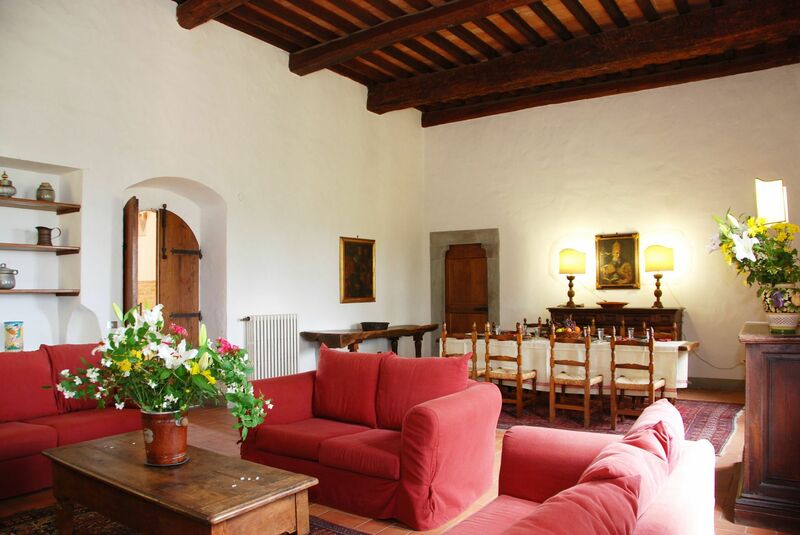 The villa is situated in the centre of an estate producing olive oil and wine. 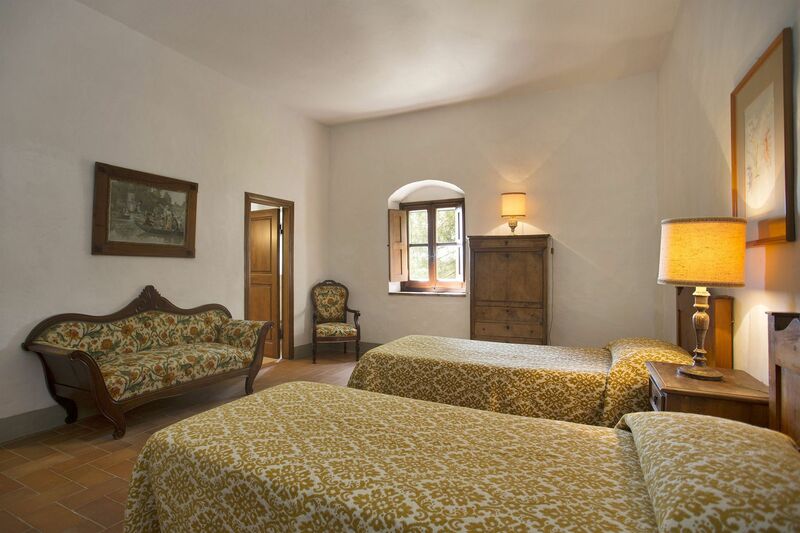 The present owner has restored the ancient tower and converted it into a comfortable villa, furnishing it with elegant antiques. 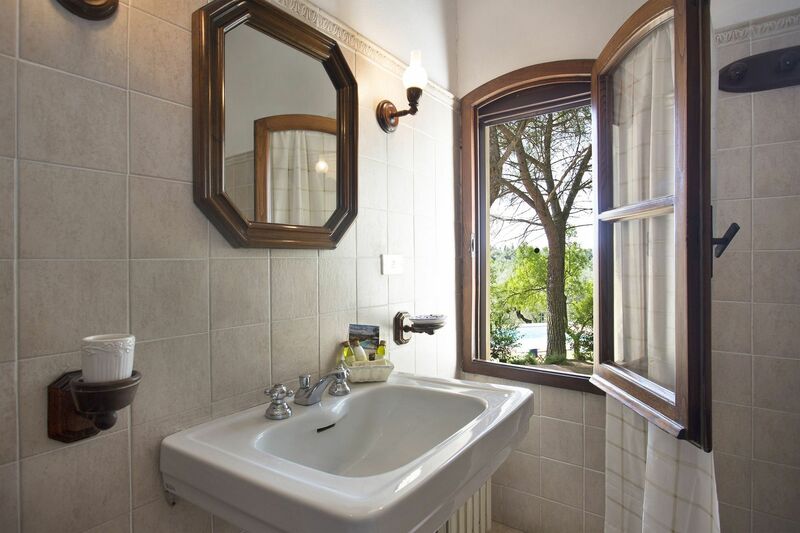 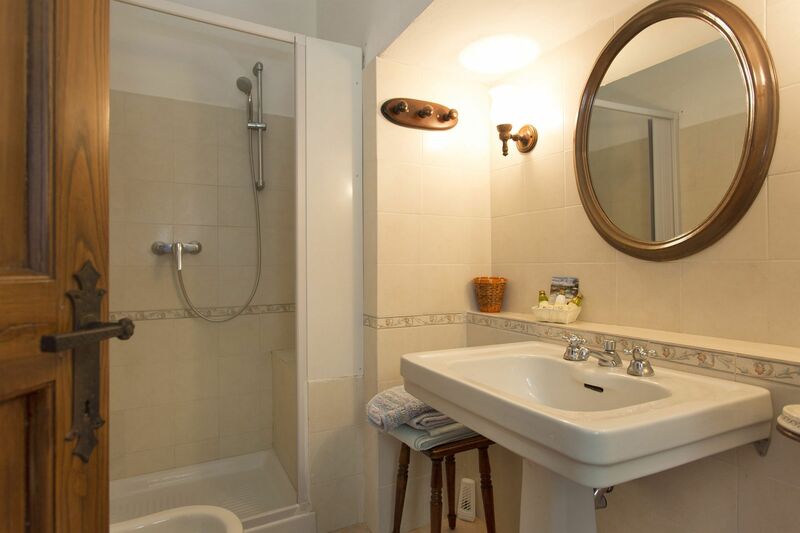 Each of the four bedrooms has its own bathroom. 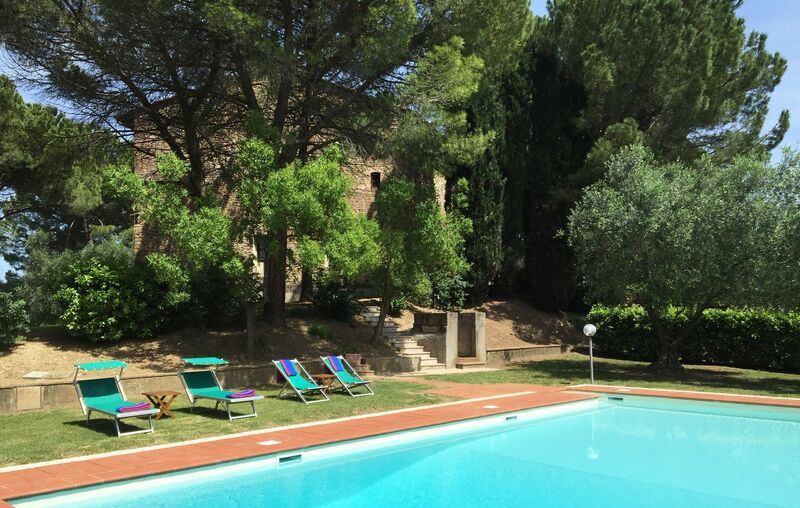 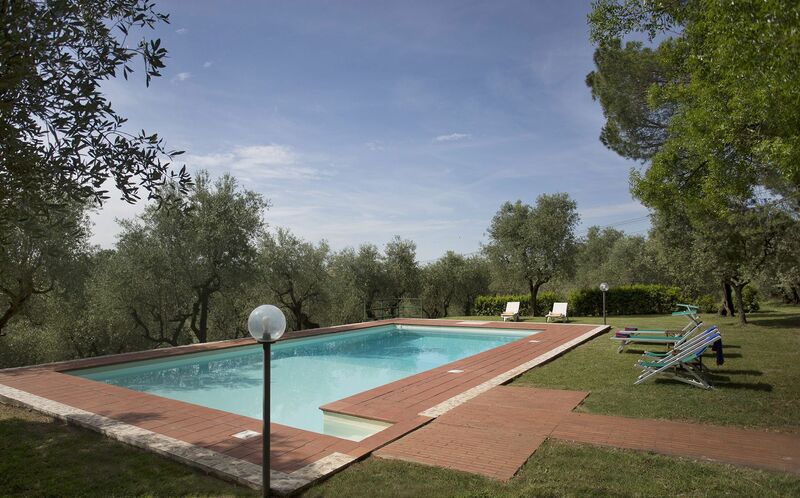 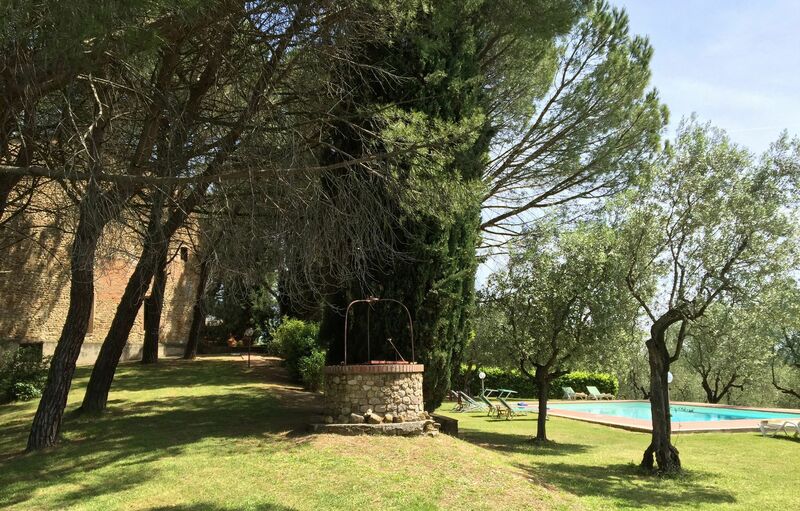 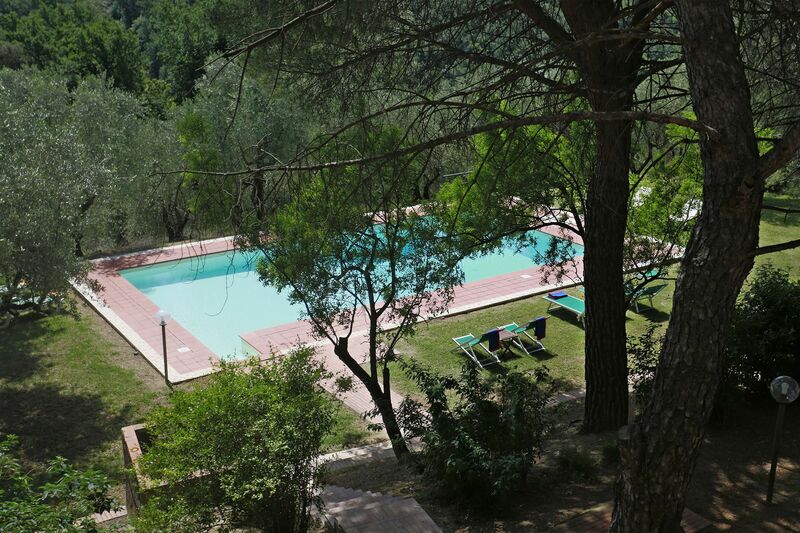 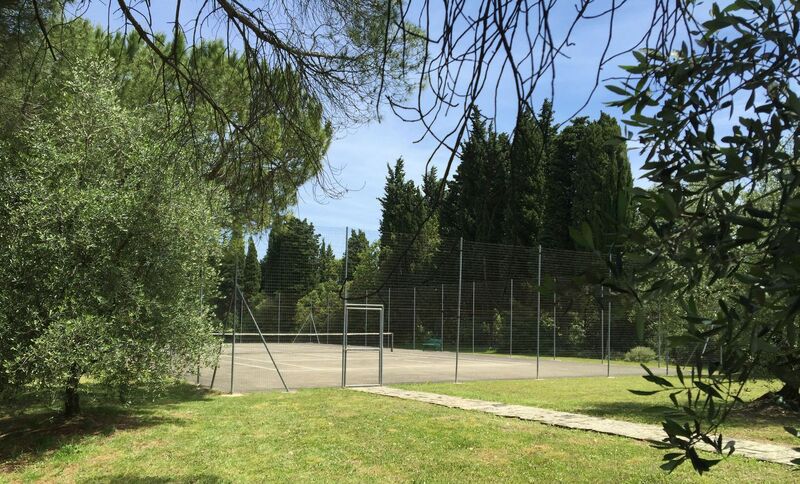 The views from the garden and the swimming pool are lovely - the kind which have made Tuscany so famous - olive groves, rolling countryside and beautiful medieval villages. 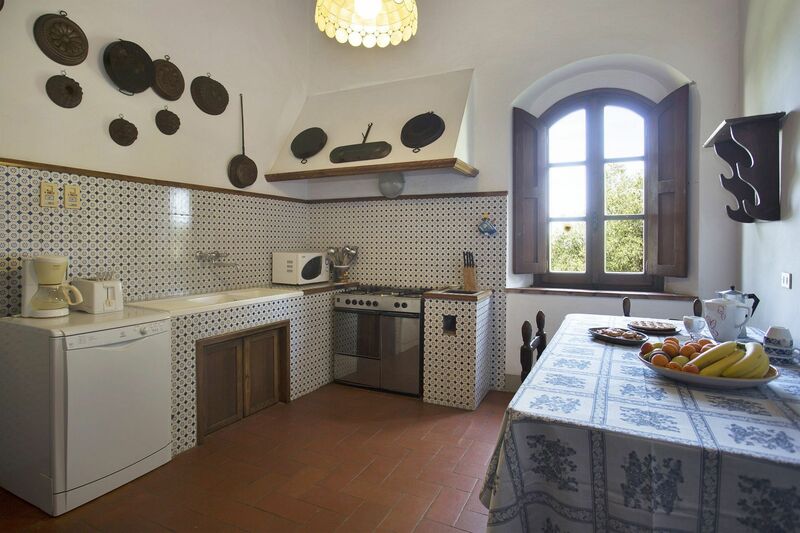 Ground Floor: Kitchen; living room/dining room; sitting room; double bedroom with en-suite bathroom with shower; double bedroom; bathroom. 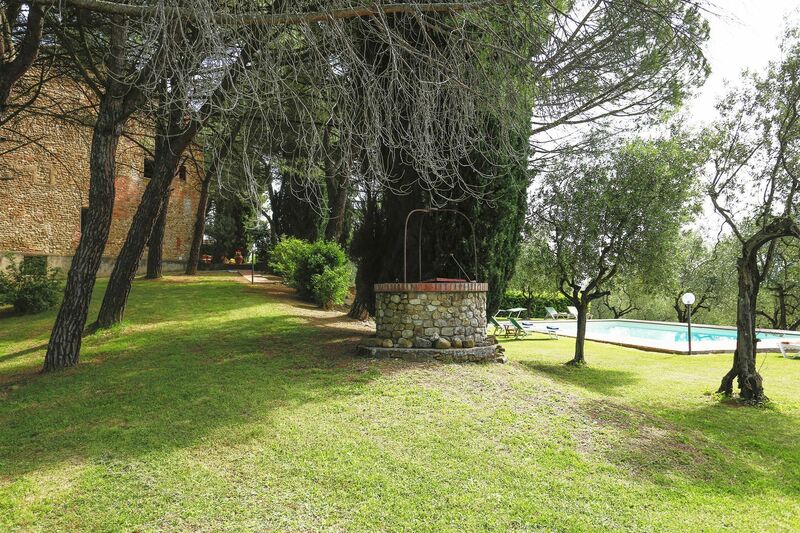 Swimming pool 12x6m; Sat Tv; central heating; stereo; dvd player.